The Black Org. is an organization that the FBI and Shinichi Kudo is pursuing . The mysterious boss, respectfully called Ano Kata (あの方 That Person) by his/her subordinates, is the leader of the Black Organization. The true identity and gender of the boss is still unknown, with only a few insignificant facts about them revealed in the manga's 19 year (and counting) run. Conan Edogawa, the FBI, and the CIA wish to uncover the boss and cause the destruction of the Black Organization. The boss appears to be the highest authority in the Black Organization. "That person" directs the Black Organization's activities and plans crimes to protect the Organization and advance its interests. The boss communicates to subordinates by text messages. The boss's contact phone number follows the tune of the children song Nanatsu no Ko (七つの子 lit. Seven children? ); the number is #969#6261. The boss is responsible for promoting agents and deciding on their code names. 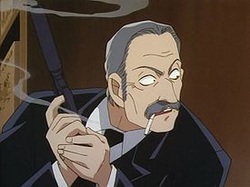 The FBI think that only a few of the highest ranking executive agents like Gin or Vermouth could lead them to the elusive boss. Gin (ジン Jin) is a high-ranking official in the Black Organization and a main antagonist of the series. He is the organization member who gave Shinichi Kudo the experimental poison APTX 4869 which turned him into Conan Edogawa. He is frequently paired on missions with Vodka. In the English manga, he was first introduced as Melkior, but later was reverted to Gin. This is likely due to the fact that Conan is often reminded of the Black Organization by references to alcohol. Gin is a high-ranking "executive agent", often giving the other members their orders and supervising group missions. He works in the "general oversight division" along with Vodka who is his secretary. Despite his high ranking leadership position, he often takes to the field to participate in missions, complete business transactions, and assassinate people. When on missions, he is typically the one giving orders, even to agents who are equally ranked, like Vermouth. Gin seems to be able to communicate freely with Anokata. Vodka (ウォッカ Wokka) is a character in the manga and anime franchise Detective Conan. He is Gin's secretary and assistant. Like Gin, he was first introduced under the name of Kaspar in the English manga, but then was later renamed to Vodka. 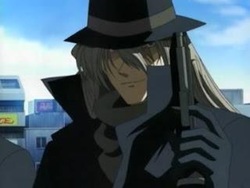 Vodka is a member of the Black Organization who is often seen by Gin's side. His official position is Gin's secretary, so he handles most of the research and information for the duo, such as setting up meetings (309-311), and relaying information to other members (54, 345). Vodka is often seen using some transport. Vermouth (ベルモット Berumotto), also known as Sharon Vineyard (シャロン・ヴィンヤード Sharon Vinyādo) and Chris Vineyard (クリス・ヴィンヤード Kurisu Vinyādo), is a member of the Black Organization in the manga and anime franchise Detective Conan. Vermouth's background is very mysterious. She was friends with Yukiko Kudo back when they were acting together under the name Sharon Vineyard and studied under Kuroba Toichi, but she was even then secretly a member of the Black Organization. It is unknown for exactly how long she has been a member, but it is known that she had been secretly living at least two lives through the art of disguise: that of herself and her supposed daughter, Chris Vineyard. After staging Sharon Vineyard's death, she now lives as "Chris" and continues to serve the Black Organization. At one point, some twenty years ago, she killed the parents of a little girl who would become the FBI agent Jodie Starling, one of her most bitter enemies. Chianti (キャンティ Kyanti) is a Black Organization sniper in the manga and anime franchise Detective Conan. Chianti is a Black Organization sniper. Although skilled with sniper rifles, she is not quite a match for FBI agent Shuichi Akai. Her partner is Korn, and the two are often seen together on missions, just as Gin and Vodka are usually seen together. It is implied that she had some sort of relationship with the deceased member, Calvados, whose death she blames Vermouth for. 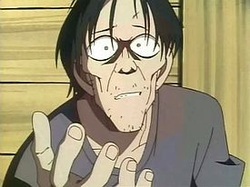 Korn (コルン Korun) is a Black Organization sniper in the manga and anime franchise Detective Conan. Korn is Chianti's partner, and also a skilled assassin. He wears thick glasses and a hat. 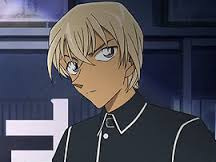 Tooru Amuro (安室 透 Amuro Tōru), known by his codename Bourbon (バーボン Baabon), is a member of the Black Organization in the manga and anime franchise Detective Conan. He is a recently dispatched operative who specializes in deduction and intelligence gathering. He hates Shuichi Akai for some unknown reason. Amuro poses as a private detective who first appeared as a waiter while helping a client with a case, and later becomes a waiter at Café Poirot and Kogoro's apprentice. Amuro's past within the Black Organization is unknown, but it seems he has been tied to them for a while. He knew Shiho Miyano's parents who died when Shiho was young suggesting that he has some involvement since he was a teenager. He was the rival of Shuichi Akai (alias Dai Moroboshi) who was Akemi's lover at the time. He had suspected Dai Moroboshi was a spy for the FBI which turned out to be the case. Shiho Miyano (宮野 志保 Miyano Shiho) is a former Black Organization researcher, codenamed "Sherry", who was working on APTX 4869. After the Black Organization killed her sister, she took APTX 4869 to commit suicide but shrank instead. She fled the Black Organization and now currently goes under the alias of Ai Haibara. Akemi Miyano (宮野 明美 Miyano Akemi), also known by her alias as Masami Hirota (広田 雅美 Hirota Masami), is a character in the manga and anime franchise Detective Conan. Akemi is the older sister of Shiho Miyano, and both were members of the Black Organization. However, unlike her sister, Akemi was never considered a high ranking member. 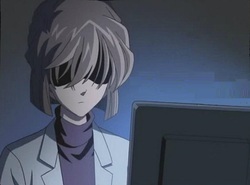 Akemi dated Shuichi Akai while he was infiltrating the Organization. Akemi was shot by Gin and killed after she performed a bank robbery. 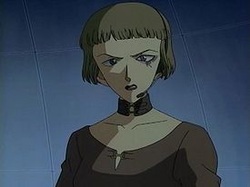 Although she dies in her first appearance, Akemi shows up numerous times throughout the series, mostly in episodes featuring Haibara, whom looks at Ran Mouri as a spitting image of her sister. Akemi Miyano, the oldest child of Elena Miyano and Atsushi Miyano, was born into the Black Organization approximately some 25 years before the current timeline. Unlike her younger sister Shiho Miyano, Akemi was never considered a high ranking member of the Organization and managed to live a mostly normal life, traveling about freely and going to school and college like normal. Both of her parents later died an accident while she was young, orphaning Akemi and Shiho. Although her sister became a highly ranked codenamed scientist, Akemi remained in close contact with Shiho and served as her lifeline to normalcy. Elena Miyano (宮野 エレーナ Miyano Erēna) was a biochemist in the Black Organization and apparently Shiho Miyano and Akemi Miyano's mother. Atsushi Miyano and Elena Miyano started the APTX 4869 research according to Vermouth. One or both of them worked on the project before Shiho Miyano took over. Both Elena and Atsushi died for some reason which Pisco called an accident while Shiho was young. Elena was known as “Hell’s Angel” in the Organization which Haibara translates into Japanese as "the angel which fell into hell". She might have earned the nickname because of her apparently nice personality which set her apart from the darkness of the rest of the organization. The British Elena is the foreign half of Ai’s parents. She wears glasses and has long hair. Atsushi Miyano (宮野 厚司 Miyano Atsushi) was a biochemist in the Black Organization and apparently Shiho Miyano and Akemi Miyano's father. Atsushi Miyano and Elena Miyano started or continued on the APTX 4869 research according to Vermouth. One or both of them worked on the project before Shiho Miyano took over. Both Elena and Atsushi died for some reason which Pisco called an accident while Shiho was young. Atsushi was a “mad scientist” who was unpopular in the scientific community because his work and theories were not mainstream. Agasa was a distant acquaintance of Atsushi and had met him and his wife at conferences. Atsushi complimented Agasa on his inventions. Atsushi Miyano’s true appearance is unknown as he hasn't appeared in the manga. He was shown in shadow in the anime. Tequila (テキーラ Tekiira) is a Black Organization member in the manga and anime franchise Detective Conan. He was killed by a bombing by accident. He works in the external division on computer software related development related tasks, presumably by recruiting, dealing with, and making exchanges with programmers. Tequila was heard speaking in a Kansai dialect by Conan. He is described by Conan as being very tall. Nothing much is known about him as he dies a few pages after he is introduced into the manga. Two years ago before Conan's encounter with Gin and Vodka, Tequila was negotiating with a famous computer system programmer Suguru Itakura and asked him if he could develop some software program that would be useful for the syndicate. 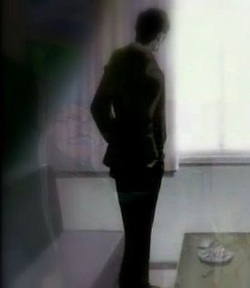 Itakura described him in diary as someone who he won't meet ever again in his life. Ryusuke Soma, a game company executive described him as a suspicious large tall man with a big mustache. Pisco (ピスコ Pisuko) is an executive Black Organization member who is killed by Gin because he was photographed while in the act of murdering a politician. His real name was Kenzo Masuyama (枡山 憲三 Masuyama Kenzou). Calvados (カルバドス Karubadosu) is a character in the manga and anime franchise Detective Conan. 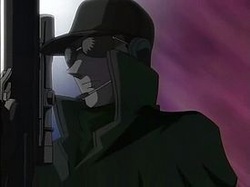 In episode 341 upon arriving at Beika Airport, Vermouth calls him with orders to shoot a particular person once they are in his sight. Later in Episode 345 he is called by Vermouth to stake out at the docks to help her kill Jodie after Vermouth (disguised as Jodie) had sent the FBI agents, who were originally hiding there to apprehend her, back. He shoots Jodie in the stomach and disables her and just as he was about to kill Haibara, Ran pops up from the truck of Jodie's car to protect Haibara. Calvados repeatedly tries to shoot her down (despite Vermouth's orders to stop) and misses, he stops when Vermouth shoots a bullet in his direction. Shuichi Akai later breaks both of Calvados legs and takes his rifle, shotgun and 3 handguns. He later commits suicide in order to avoid being taken prisoner for questioning. Rikumichi Kusuda (楠田 陸道 Kusuda Rikumichi) is a member of the Black Organization in the manga and anime franchise Detective Conan. 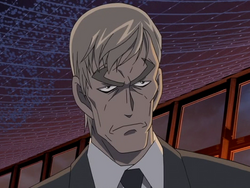 Rikumichi Kusuda was a member of the Black Organization. He was sent by the Organization to search for Rena Mizunashi in Haido Central Hospital. He was pretending to be a patient with cervical spine sprain in order to move about the hospital without suspicion. Eisuke Hondou told Ran he heard a man dialing Nanatsu no ko at the hospital and with that information Conan and Shuichi Akai were able to figure out which patient Eisuke overheard. Later that night, Rikumichi sneaked to the nurses' station to photograph the patient list and was cornered by the FBI. In order to escape, he threatened the FBI with fake C4 he had hidden under his neck collar. He drives away, but is unable to warn the Organization because Conan had damaged his phone with water. Shuichi Akai chases him in pursuit and after recognizing exactly which FBI agent was tailing him, he commits suicide. It is unclear what happened to his body and crashed Nissan afterwards. Ki'ichiro Numabuchi (沼淵 己一郎 Numabuchi Ki'ichirō), known as Cornelius Graver in the Funimation dub, is a character in the manga and anime franchise Detective Conan. Ki'ichiro Numabuchi, who grew up in the Gunma Prefecture, was a serial hold-up murderer who got involved with the Black Organization. 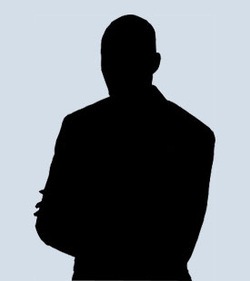 He was originally hired to become one of their assassins, but his mental lability soon exempted him from that career. Instead, he was to become a human guinea pig for the new APTX 4869 poison, under the supervision of Shiho Miyano. However, while Shiho had been given his file for close medical study, she didn't get to meet Numabuchi personally; knowing about his impending fate, he escaped the Black Organization. During his flight, he panickedly murdered several people he suspected of being Black Organization pursuers. 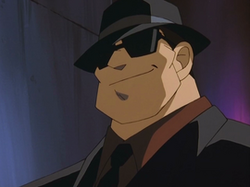 Irish (アイリッシュ Airisshu) is a Black Organization member who appears as the main antagonist and eponymous Raven Chaser in Movie 13. He was killed by Chianti. Not much is known about Irish, except that he had a lot of respect for Pisco. It is stated that Pisco was like a father to Irish. 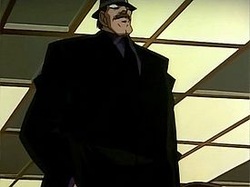 Pisco was an elderly member of the Black Organization who was killed by Gin. Ever since, Irish has had a strong grudge against Gin. It is not known if Irish ever killed anyone, but it is assumed that he had in the past.